Having a 4 door SUV can really make life easier, and the 2018 Honda CR-V comes packed with even more features you’ll love. This new Honda features the kind of reliability you’ve come to expect from the brand, plus clever designs that help you do more day after day. Cutting-edge technologies and onboard amenities round out a compelling offering. Find your 2018 Honda CR-V for a great deal through JL Freed Honda. 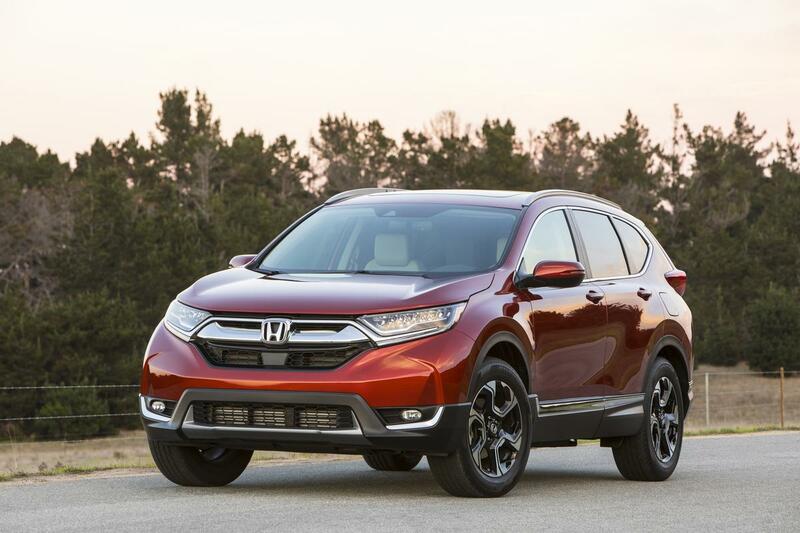 Depending on the Honda CR-V model you select, this SUV can be powered by two different engine options. The first, which comes standard on the LX, is an inline 2.4-liter four-cylinder, which produces 184 horsepower and 180 lb.-ft. of torque. Thanks to the 16-valve DOHC i-VTEC setup, you as a driver enjoy excellent performance throughout the RPM range. If you want more power, that’s exactly what you get for the rest of the lineup, thanks to a turbocharged 1.5-liter four-cylinder. It features a single-scroll turbo and integrated wastegate, with 18.5 psi, plus a maximum 190 horsepower and 179 lb.-ft. of torque. Both engines provide excellent fuel economy. Mated to them is a continuously variable transmission or CVT. By design, it works to maximize efficiency, whether you’re traveling in the city or out on the open road. Performance for the Honda CR-V doesn’t stop there. A drive-by-wire throttle system provides excellent response, so you feel in complete control of how the SUV moves. Hill start assist also comes standard, avoiding the possibility of rolling backwards after stopping on a slope. You can add real time all-wheel drive to the Honda CR-V. An Intelligent Control System means power goes to the best wheels for any situation. Wherever life takes you, the Honda CR-V has a design that will protect you and your passengers. The Advanced Compatibility Engineering (ACE) body structure helps absorb impacts, if you’re in an accident. In addition, you get protection through a fully array of airbags, including front side airbags with SmartVent technology. That means if the driver or front passenger is sitting in an airbag deployment path, that airbag won’t inflate all the way, preventing an injury. automatic high-beam headlights, which provide maximum forward visibility for conditions. The blind spot monitoring system also features a cross traffic monitor, warning you of approaching vehicles from the sides as you reverse. Up to five people enjoy excellent accommodations in the Honda CR-V. Among the optional amenities is soft leather upholstery, seat heaters, and dual-zone automatic climate control. The power tailgate takes the hassle out of dealing with hard-to-reach handles, especially if your hands are full. You can set how high the tailgate goes up, which is perfect if you’re in a low structure, or other obstacles are in the way overhead. Even more convenient is the hands-free tailgate, which you activate by waving a foot under the rear bumper. Learn even more about the 2018 Honda CR-V by taking one for a test drive at JL Freed Honda.